Each Month, the folks at SHSU Online/the DELTA Center offer learning opportunities for SHSU faculty and Staff that utilize eLearning tools. 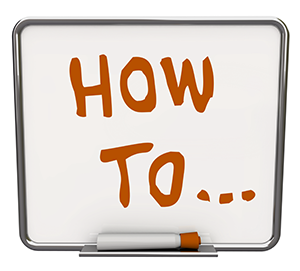 Visit http://distance.shsu.edu/faculty-resources/how-to-sessions.html to sign up for one of our How-to Sessions! This course is the first in a three-part series that will ensure you are well acquainted with Blackboard @ SHSU. Become familiar with the Blackboard environment including: layout, navigation, adding, editing and deleting content. Attendees will gain control over their course’s navigation menu and learn how to interact with their courses from an instructor role. This course is the second in a three-part series that will ensure you are well acquainted with Blackboard @ SHSU. Learn how to communicate and collaborate with your students using Blackboard’s onboard set of tools. Announcements, Notifications, Email, Discussion Boards, Blogs, Journals and Wikis will all be covered. This course is the third in a three-part series that will ensure you are well acquainted with Blackboard @ SHSU. Attendees will learn how to assess student progress with Blackboard Assignments, Turnitin Assignments, Test/Quiz/Survey Creation and how each of these interact with the Blackboard Grade Center. Participants will learn how to use the Blackboard Grade Center to record data, calculate grades, and monitor student progress. Manage students’ grades and create grade columns for any activities or requirements you wish to grade. Participants will learn how to place YouTube videos, SlideShare presentations, Flickr photos, audio recordings and multimedia directly into the course with a few clicks of their mouse. The use of Blackboard’s new Video Everywhere tool will also be covered for communication from/with/to your students and for giving assignment feedback. This 90 minute sessions will help bridge the distance in distance learning. Use the Retention Center to provide an easy way for you to discover which students in your course are at risk. Based on preconfigured rules and rules you create, students’ engagement and participation are visually displayed, quickly alerting you to potential risk. From the Retention Center, you can communicate with struggling students and help them take immediate action for improvement. Participants will learn how to use the rubric tool that lists evaluation criteria for an assignment, and provide a means to convey expectations to students for the quality of completed assignments. This session lasts approximately 60 minutes. This 60 minute how two session will demonstrate how Blackboard’s new “in-line” grading feature allows instructors to grade assignments, blogs, wikis, journals and discussions all while looking at them. This has the added bonus of instructors not having to download Word, PDF, Excel or PowerPoint documents to make corrections and re-upload. Get your student engaged and connected by leveraging Blackboard’s Social Learning Tools. Students & Instructors can create a Blackboard Social Profile, complete with picture, bio and update driven “wall”. Connect with other Blackboard Learn users at SHSU and across the globe and create ad-hoc collaboration spaces for course groups and more. This course is geared to ensure you are alive and well after the start of the semester in your Blackboard course. Learn how to post announcements, send e-mail, create a virtual office, create content items, attach and upload files and figure out the text editor. This 60-90 minute session covers how you can ensure you are ready for the next semester with your Blackboard course. Participants will learn how to use the course copy tool, how to copy individual bits of content as well as how to export and import individual tests, surveys & pools. Adjusting due dates, editing attached documents and utilizing a “Start Here” unit is also covered. Bring along any course materials you want to upload/add to your course and we will help! Learn how to make your course more visually appealing while at the same time use best practices that will help ensure your students’ success. Session will last from 60 – 90 minutes. This session will cover the use of groups, group assignments, group pages, & group collaboration as well as utilizing Blackboard’s Grade Center for grading these group activities. Plan on spending about 90 minutes in this hands-on session as we learn how to work with the G’s of Blackboard. Get the low-down on this tool in Blackboard that will allow have live meetings with your students interact with your student in real time over the internet via audio/video/whiteboard and application sharing. Check your student’s understanding by giving polls. From the new features in your Text Editor, to the ability to export your course due dates, to the calendar of your choice – come check out the new ways you can enhance the Blackboard experience for you and your students. Blackboard instructors now have a new tool for lecture capture. The Kaltura tool (a Blackboard Mash-up) can now record an instructor’s screen, as well as webcam footage, and package it to be delivered to students across multiple devices. This 1-hour session covers how to use the tool to record materials you have displayed on your computer. SHSU has technology in classrooms and on campus computers that allows instructors to capture in class lectures as well as recordings of narrated PowerPoints, screen captures and more. Tegrity Campus records class time and course content for students to watch live, or review on-demand. Students can also be content authors and capture and upload their own video presentations. Tegrity even has the ability to record online students taking tests so that the recordings can be reviewed for academic honesty. Engagement in online courses is key for student success, teacher evaluation and the overall course experience. A great way to promote student engagement in your online course is to work on feedback. 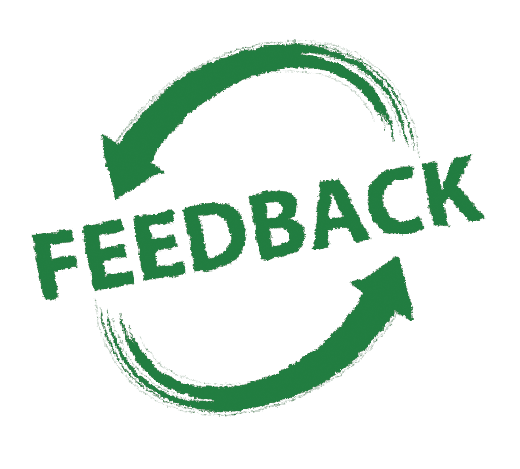 Students that receive regular feedback tend to perform better and as a result have good opinions of their time in the course. There are many sound strategies for providing feedback in an online course. This Session will cover a few key feedback strategies. As with most tools, there are many best practices that revolve around the use of Multimedia in your online course. The practices may different depending upon the type of media you are employing. From images to audio and video these steps can help assure that your students get the most out of their multimedia experience in your course. As with teaching a face-to-face course, there are strategies and methods you can employ to give yourself and your students a better chance for success. No matter what technology we are using, what web 2.0 tool we employ or what activities we plan in the end, it is all about the METHOD and NOT the tool. This information-packed how-to session covers strategies for teaching, course participation, managing your time, assessment and academic integrity. Learn how to use one of the tools from the “Tool Belt of eLearning” to make your life easier when working with tests and quizzes in Blackboard. Respondus is a tool for creating and managing exams that can be published directly to your Blackboard course. Using Twitter to Increase Student Engagement ßHaven’t’ taught this one yet I was going to debut it as my session at the conference first. Learn how to leverage this micro blogging tool to have students do research, connect with thought leaders in your field, sharing ideas with others and engage with you, your other students and the course. This session will also equip you with resources to make the process easier and more user friendly. Blogs, Wikis & Journals – Oh My! – What are they and when and how should I use them? Using the latest and greatest web 2.0 collaborative tools seems like something you should do if only you knew when or how? This 90 minute session goes over each tool and demonstrates some uses cases for when they should be used. Learn how to leverage the Turnitin Assignment Tool in blackboard to check students’ work for improper citation or potential plagiarism by comparing it against the world’s most accurate text comparison database. Grade your paper online with Turnritin Grademark. Leave comments directly on paper, use voice comments and rubrics to give great feedback and general comments. May I have your permission to use your graphic (https://shsuonline.files.wordpress.com/2012/03/feedback.png) for our website (ualr.edu/disability)?